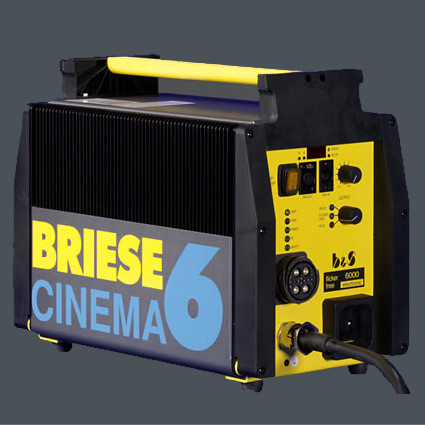 The Briese equipment got extended by the Cinema 6 system. The electronic ballast is as compact as his little brother, the Cinema 4. Again, 300Hz provides light that is absolutely flicker-free, and the international ballast selects the voltage between 90-260V easily. The 6kW Briese system is a gain for everyone who requires more output with constant quality of light.